Have I Got A Claim? Personal injury? Not your fault? New speed limiters to become mandatory for all vehicles sold in Europe from 2022. Oxford Accident Solicitors have helped many road accident victims with compensation claims over the years - enough to know that excessive speeds are often a contributory factor to crashes. For that reason, we welcome any measures that address the problem of drivers ignoring speed limits and driving too fast. 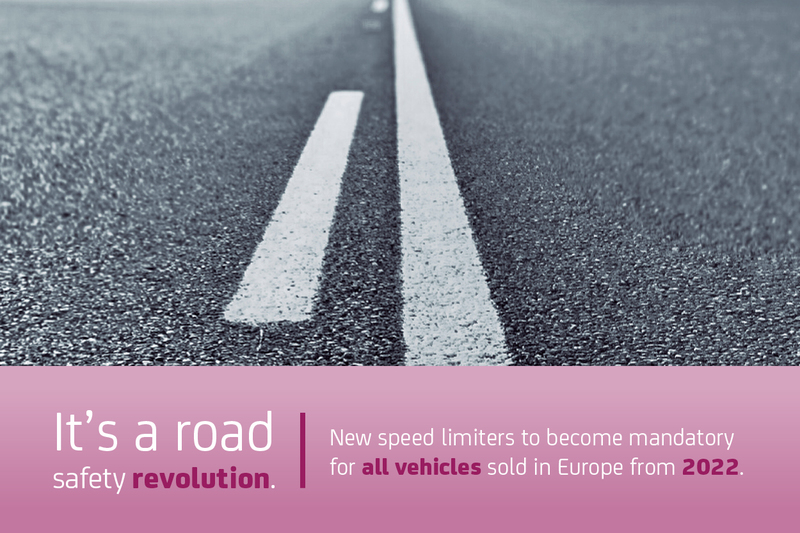 New rules provisionally agreed by the EU mean that speed limiters will become mandatory for all vehicles sold in Europe from 2022. In a move which campaigners hope will revolutionise road safety, all vehicles are expected to be fitted with technology that detects speed limits and then sounds an alarm and slows down the vehicle if it is exceeding the limit. The new EU rules are also expected to apply to cars sold in the UK as the Department of Transport and UK regulator, the Vehicle Certification Agency, hope to mirror vehicle standards applied in the EU even after Brexit. The device, called intelligent speed assistance, or ISA, uses GPS data and sign recognition cameras to detect speed limits where the vehicle is travelling. Drivers will not be able to switch off the system completely but will be able to override the device by pushing hard on the accelerator in situations where speeding up could be safer – for example, speeding up to avoid an accident. As part of rules provisionally agreed by the EU, the speed limiter will be one of fifteen new safety features to be made mandatory in cars, HGVs and buses. These include a system that keeps cars in the centre of lanes, automated emergency braking, technology that detects when drivers are losing concentration, and built-in visibility enhancers for lorries to help them spot vulnerable cyclists and pedestrians. The measures follow the release of figures by the Department of Transport showing that 4,805 road accidents in 2017 involved drivers exceeding the speed limit, with 203 of these resulting in a death. This represents one in seven fatal crashes in the UK. The new safety features will be installed in all brand-new car models by 2022, and by 2024 for new versions of existing cars. Many new cars, particularly premium models, are already equipped with the technology. If you are the victim of a road accident that is not your fault, don’t hesitate to contact Oxford Accident Solicitors for a FREE, no obligation assessment of your right to accident compensation. Please call 01865 315309. Oxford Accident Solicitors and Oxford Accident Services are trading names used by Bower and Bailey solicitors. © Copyright 2019 Oxford Accident Solicitors. All Rights Reserved.